It’s embarrassing to admit this, but I didn’t start washing my makeup off at night until I was well into my 20s. It was one of those healthy habits I didn’t learn in adolescence, so I had to find out the hard way what happens when I go to bed with a grimy face. My skin was always some level of broken out, which led me to assume I just had bad genes. It wasn’t that I never tried to get in the habit, but a lengthy night time regimen of washing, rinsing, and moisturizing just never became a regular ritual for me. I’d do it faithfully for a month or two then fall right back into my old routine of falling asleep with the day’s makeup still on my face. 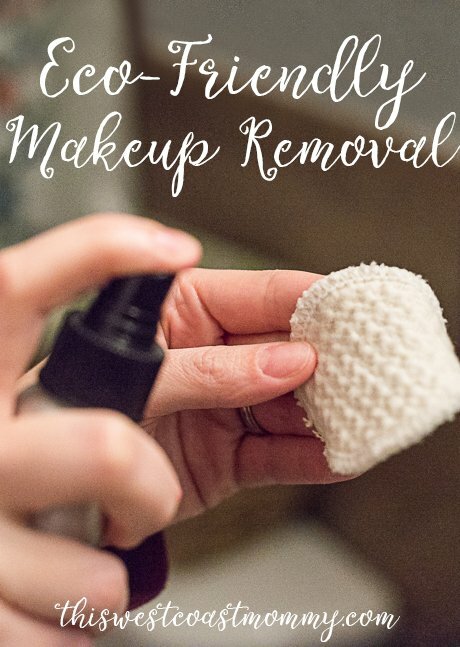 Finding out about makeup remover wipes changed my life. Would it be better to do a thorough cleanse each night? Absolutely, but that’s way too much maintenance for a girl like me. 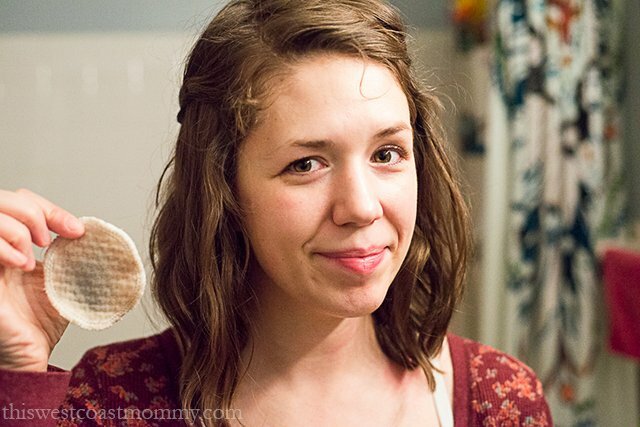 Simply removing my makeup with a non-oily, mildly sudsy wipe has kept my skin (and conscience) clear for years now. Let’s not mess with what works. Mkay? 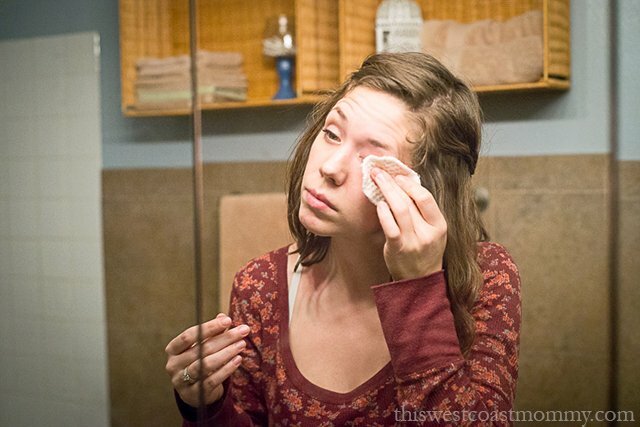 But there was one thing about my routine that had been nagging at me for a while—the wipes were disposable. 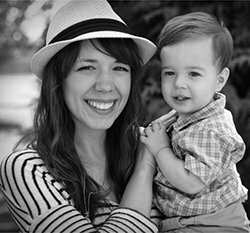 I’d made efforts to cut down on my family’s footprint in many other areas such as reusable grocery bags and cloth diapers, but I knew that my little disposable wipes were also making a significant contribution to landfills. If I use over 300 wipes a year—a conservative estimate—that’s over 1,000 wipes every few years, and over 12,000 by the time I’m 70! Not to mention the cost that adds up. Disposable makeup remover wipes are a convenience the planet cannot afford. The switch to reusable wipes was long overdue, and I ran out of reasons to keep putting it off when Bummis sent me a pack of their Eye Makeup Remover Pads to try out. 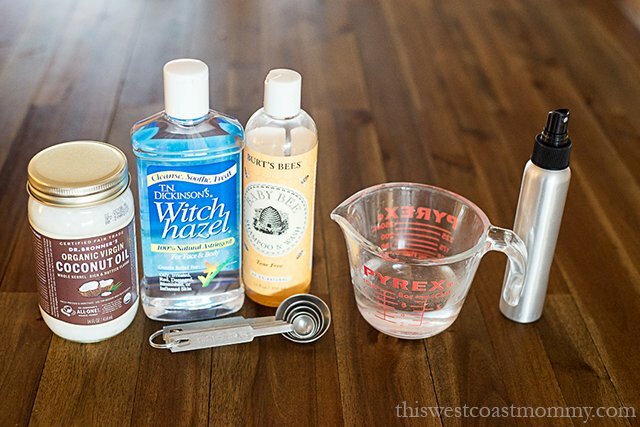 This was also a good opportunity for me to go a little more natural with my makeup remover solution as well, so I decided to make my own simple recipe. I’ve been using it for a couple of weeks now, and it’s the perfect balance for me: slightly sudsy and not too oily. Keep in mind everyone’s skin is different, but I’ve included my recipe if you’d like to try it out for yourself. 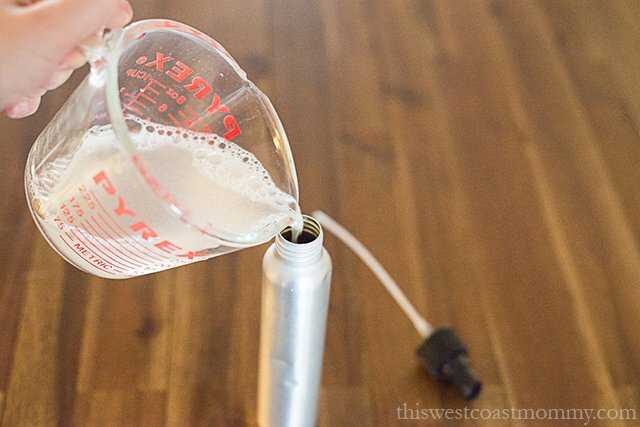 Just measure, mix, and pour into a spray bottle. My bottle holds about half a cup, but this recipe can be easily doubled or halved to fit your container. I made the mistake of trying to create wet wipes the first time by pouring the liquid over the pads and sealing them in a jar. It mildewed in less than a week, so I recommend shaking and spraying the solution onto dry wipes as you need them to avoid this. The pads are about three inches in diameter, and they’re made of a thick, dimply organic cotton that’s gentle on your sensitive eye area but also lifts makeup and grime easily. I use one pad, back and front, on my whole face, and it gets the job done. Each package comes with 7 wipes—enough for one week—and when you’re ready to clean them you can zip them up in the included mesh bag and toss it in the washer and dryer with a regular load of laundry. 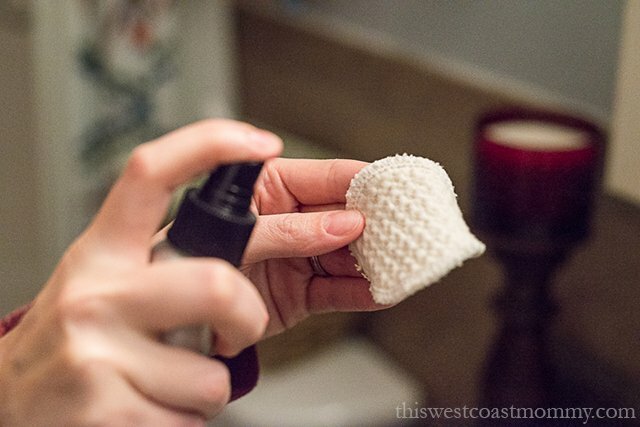 The Eye Makeup Remover Pads are part of Bummis’ Eco-Femme line of reusable women’s products. They care about sustainability, and their business practices are proof of their commitment to a greener and more equitable future. All Bummis products are made in Canada with fabrics sourced in North America. These high quality pads combined with my DIY makeup remover solution have helped me get one step closer to a smaller personal footprint. I also get to keep on being my low-maintenance self and still maintain clear skin. 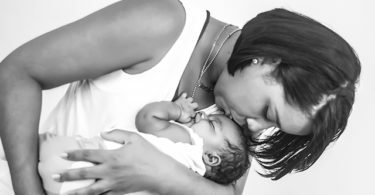 If you’re hooked on disposable wipes filled with unpronounceable chemicals like I was, hopefully this will give you the motivation you need to make the switch as well. Bummis’ Eye Makeup Remover Pads are available at Boutique Bummis for $14.95. Connect with Bummis on Facebook, Twitter, Instagram, and YouTube. 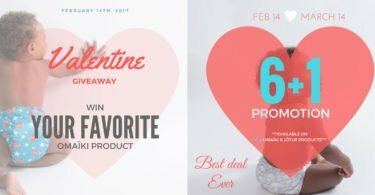 What’s Up at Omaïki: 6+1 Deals, Become an Ö Ambassador, and a Valentine’s Day Giveaway! I’d love to try the reusable snack bags. Such cute prints! I love their Fabulous Flo Pads!! Such cute designs!! Another product that interests me is the Cotton Wipes. I think the Mini Fab Reusable Snack Bags would come in very handy and much better than disposable bags! I’d like to try the Fabulous Wet Bag. I would also like to try the Mini Fab Reusable Snack Bags. I would like to try their Dimple diaper. I’d like to try the breast pad travel pack. 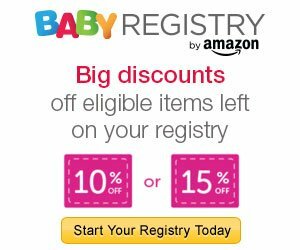 I would love to try their AIO diapers. I would love to try the Best-ever Sleeved Bib. My daughter is just started solids but we can already tell that she’s going to be a messy eater! I would like to try their reusable snack bags, such a cute prints! waiting/ wanting to try the aio diaper. I’d like to try the Best-Ever Bib. It looks pretty sturdy. I would love the fabulous wet bags. They would be great for when my grandkids go to the swimming pool! Their fabulous Cotton Wipes are also a product that would be very helpful. I like the large wet reusuable bag. It would be great to line a diaper pail to avoid left-behind odors. Plus, it gives one an easy way to lift out the diapers to dispose of. And I’m sure it’s washable. The snack bags would be perfect for me! Thank you for the great offer! I love the way you write. So many great products! I would love to try the Best-ever Sleeved Bib, reusable snack bags and you can never have enough wet bags! I like the breast pad travel pack. I’d like the Sun Cap 🙂 its nice and offers uv protection. I would love to try the fabulous wet bag in a small or medium size. I send a lot of time doing long distance canoe trips and these would be amazing for when I have my period. I would love to try the Mini Fab Reusable Snack Bag. They look great! The Best-Ever Bib looks like another great product to have!! I’d like to try out their reusable snack bag. 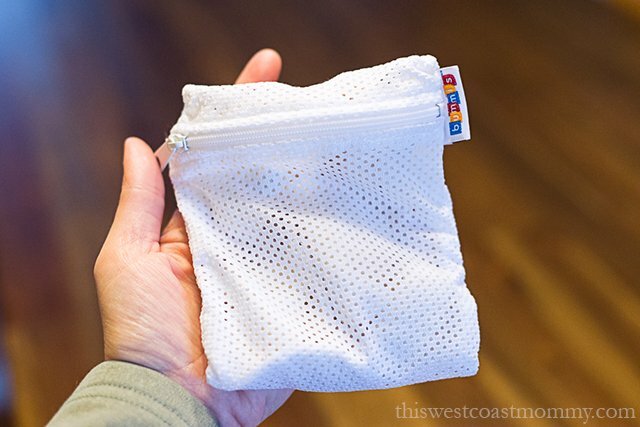 Another item I would love is the Mini Fab Reusable Snack Bag. The Dimple Diaper looks so cute! And I loved reading your review of these make-up pads and the included recipe for a cleansing spray. This is a routine I could definitely fit into my busy bedtime schedule. I would love to try the dimple diaper. 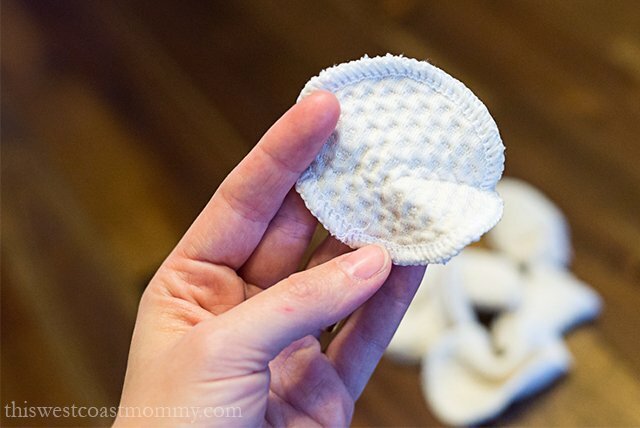 And the make remover pads look great, I love reducing my waste as much as possible. I’d love to try their snack bags. I would like to try the Fabulous Wet Bag (large). So handy for the wash! I really like their Mini Fab Reusable Snack Bags, they look fun! I’d be interested in the reusable snack bags!! I loved cloth diapers when my kids were little, now I would love them for grandkids! I would love to have the “bavoir best-ever bib avec manches” in the frog print for my toddler!